Welcome! The dental professionals at Kramer Kuhn Dental are pleased to welcome you to our practice. We want all our patients to be informed decision makers and fully understand any health issues you face. That’s why we’ve developed a web site loaded with valuable information about dentistry and dental problems and treatments. We encourage you to visit this site whenever you have concern about your teeth. Our web site also provides you with background about our dentists, staff, office hours, insurance policies, appointment procedures, maps, directions to our office in Chicago, IL and other useful information. We know how hectic life can be and are committed to making our practice convenient and accessible. And we want you to feel confident that when you choose Kramer Kuhn Dental, you’re working with doctors and other professionals who are qualified, experienced and caring. Please take a few moments to look through this site to get a better feel for Kramer Kuhn Dental’s capabilities and services. 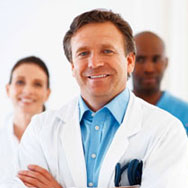 We also invite you to email or call our Chicago, IL office at any time to request an appointment or ask any questions. Thank you. Our newly expanded office space contains the latest in modern technology and equipment, including an intra-oral video camera. This enables our patients to better understand treatment and daily care needs. Our steam autoclave ensures complete sterilization of instruments. We care about you--your comfort and your smile! Being parents ourselves, we understand how to gain the confidence of your children and put them at ease so they are comfortable about coming to the dentist for regular visits. Dental care should be consistent. From care for "baby" teeth, the arrival of permanent teeth, and on through adulthood, we emphasize preventive dentistry. Orthodontics, periodontics, oral surgery, and implant restoration can be performed in the familiar setting of our office, by dentists who know you and your dental needs. We strive to make every service affordable, including the option of 12 month interest-free payment plans to fit within your budget. We accept VISA, Discover, and Mastercard, as well as your dental insurance assignment. Both Dr. Kramer and Dr. Kuhn are members of the American Dental Association, Illinois State Dental Society, Chicago Dental Society, and the Academy of General Dentistry. They are active members of the Uptown Dental Forum.